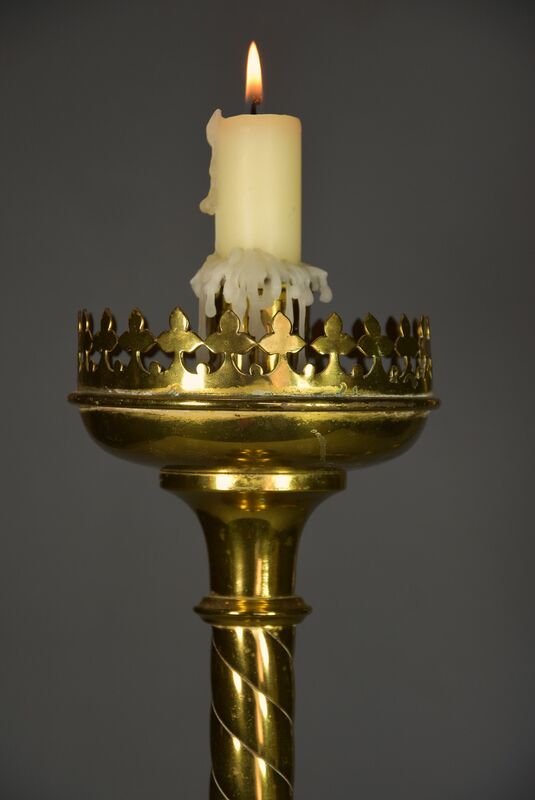 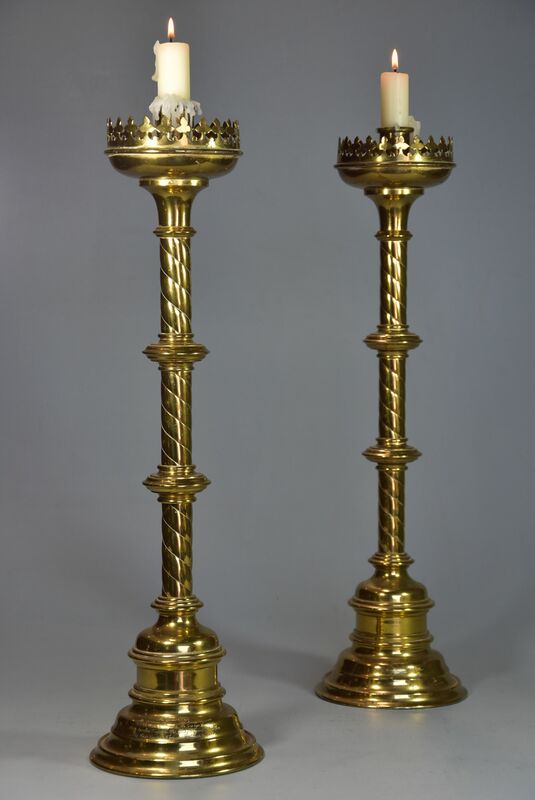 The candlesticks consist of a candle holder to the top with a rimmed edge with a drip pan with a trefoil pierced gallery of typical Gothic design. 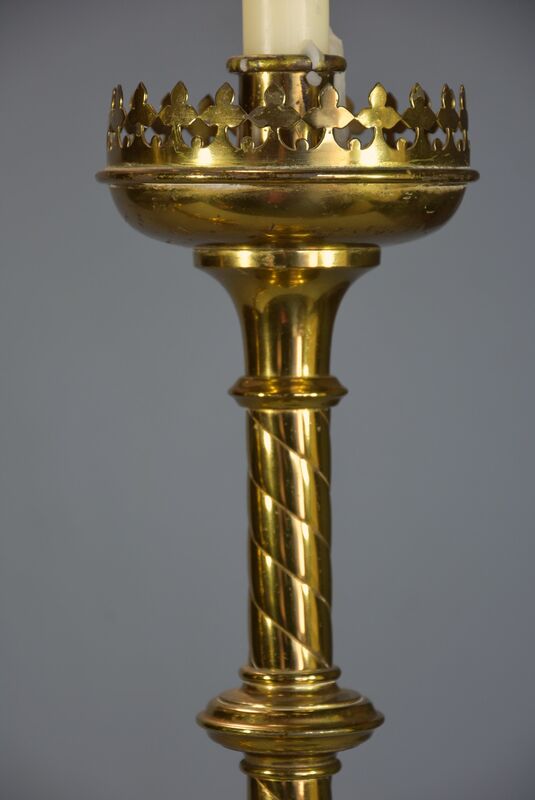 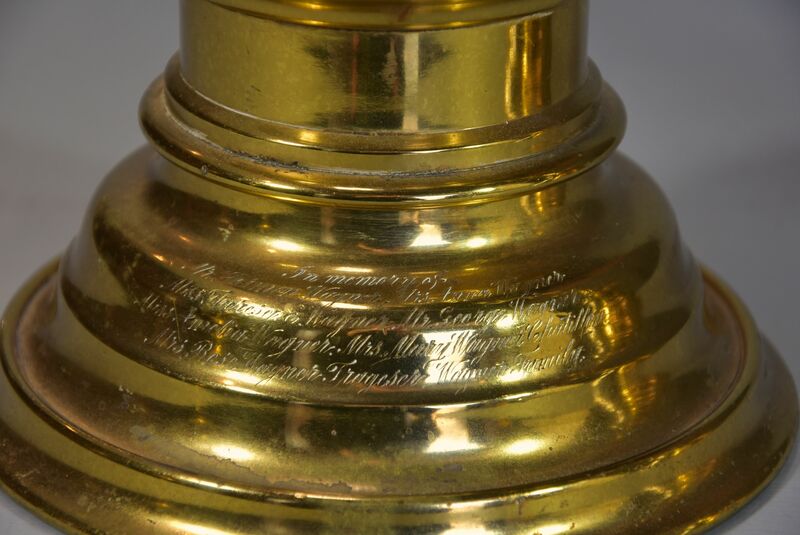 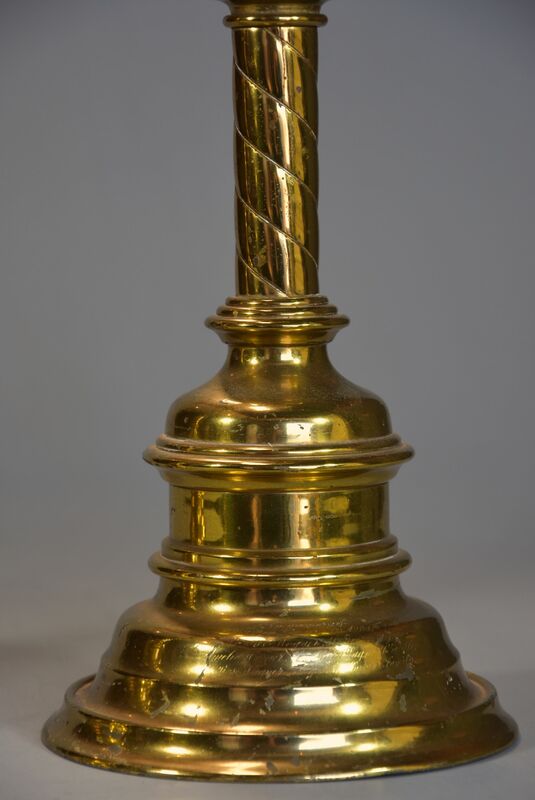 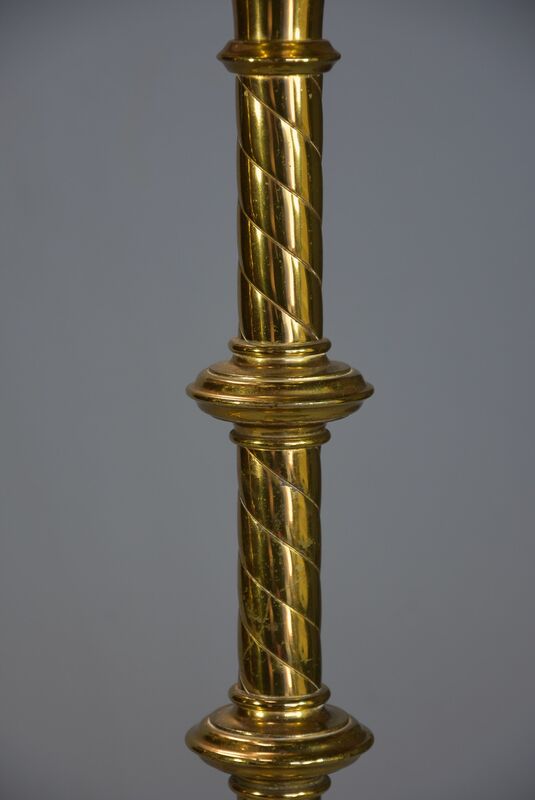 This leads down to a spiral twist column supported by a stepped circular base, the bases both having an inscription 'In memory of...' with various names listed - the candlesticks can be turned so the inscriptions are at the back and therefore not visible if necessary. 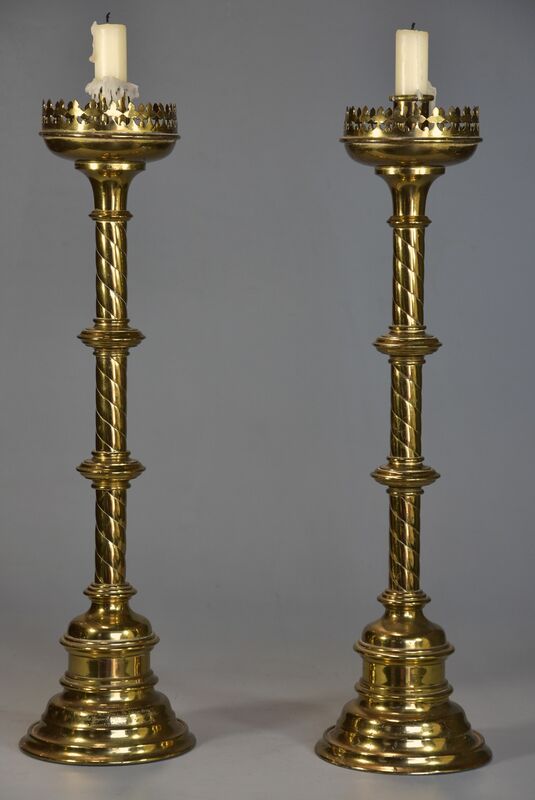 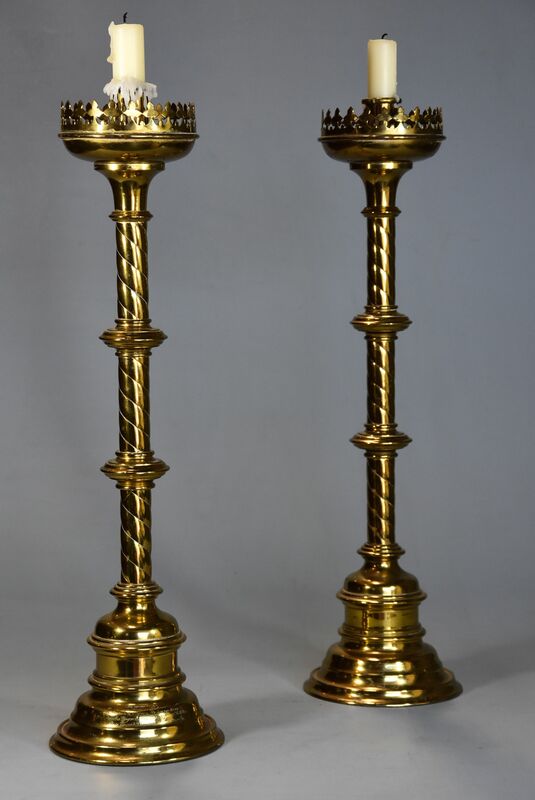 This pair of candlesticks are in good condition for age, are of stable construction and can go straight into a home etc.